Hong Kong wine and spirits importer Grand Cru Cellar hosted an unconventional whisky dinner in collaboration with Edrington Hong Kong, pairing Macallan and Highland Park whiskies with spicy Sichuan cuisine at Fu Rong restaurant, to create an interesting fire-on-fire combination that commands the full attention of one’s taste bud. The idea behind the pairing, as Ian Wo from Fu Rong said, is to to convey a message of open-mindedness and creativity when matching food and beverages. 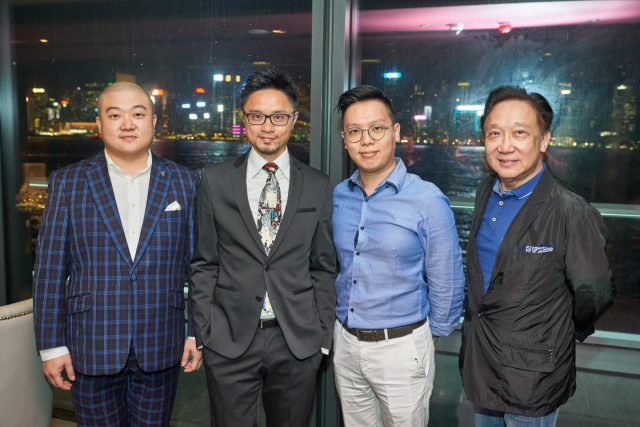 Pictured above are Ian Wo, wine and spirits writer Ronny Lau, Mando Leung and Franky Leung of Grand Cru Cellar.